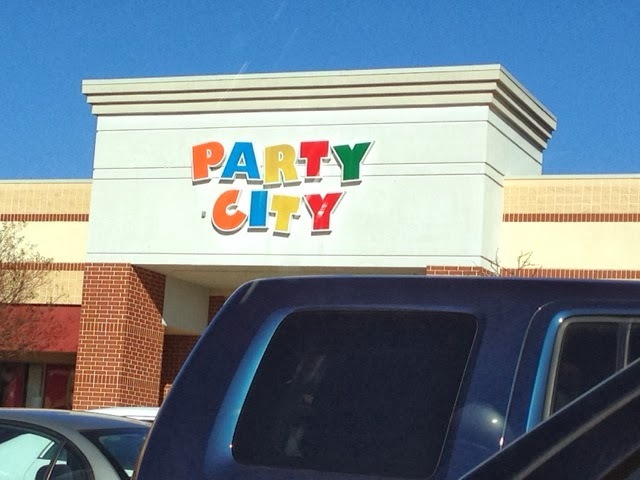 Brent II and I wnt to Party City to buy some balloons for Avery's birthday party this afternoon and I met Sam, one of the sales staff, and saw this as an opportunity to have her my first interview of the trip. With long dark brown hair, bright dark eyes, and slender face Sam is an attractive young woman in her late teens who has been working at Party City for about a year. Working in the balloon department today she waited on us for our order of one Disney Aeriel, 3 pink and 3 aqua balloons. She upsold us for $.15 for each of the six latex balloons to put a solution in them so they will last 12 to 24 hours vs. the expected 4 hours without the solution. It sounded like the right decision as Avery's birthday party was about 4 hours away. While processing our order it was easy to strike up a conversation with her. I opened the conversation by asking her what the most popular balloons were. She eagerly pointed out the favorates that included ones with fur-like fringe and then the large 50th birthday by saying that the series was popular including 40. I turned to Brent II and commented that he was getting close to that number. He then reminded me if my 40th birthday party, not mentioning the belly dancer that Denise had gotten for me that I know we were both thinking of. Sam likes her job as it is mostly layer back for being a minimum waged job. I mentioned that there must be seasons to the business, getting a reply from her that Halloween was the busiest time with all registers open including the extra one in the balloon area. In addition to providing great service, and accepting Brent II's offer to jump for a balloon for another customer that had gotten away, she was articulate and engaging giving hope for my future interview attempts. The reason that Brent II had to jump for the balloon was that they tie all balloons off to the ribbon and let it go to the ceiling and cut the ribbon. In this case the other sales attendant let the balloon rise to the ceiling only to run out of ribbon and then being out of reach to both young woman.